I said it and I mean it. I never, ever use bath towels. Not on my face, body, or even hair. Nope, none, nada. While everyone on one corner of the Internet was recently debating how many towels is the correct amount to have in your linen closet, I’ll just be over here on Team No Towel. I wholeheartedly believe that zero bath towels is the correct amount to use in the bathroom. Here’s why. You simply do not need to touch a towel to your body, particularly in winter. It’s a very strategic move. So you know how it’s nearly spring, but still feels pretty cold outside? One of the main effects of a harsh, dry winter is parched, itchy skin. Your saving grace is moisture, in the form of body oil and lotion. Both are great at moisturizing, but body oil topped with body lotion is winter’s match. This is where not using towels comes into the picture. Damp skin absorbs body oil significantly better. (On dry skin, the oil basically just sits on the surface.) So even dabbing your post-shower skin with a towel could take away that much-needed moisture you need for those products to really work to their full potential. Now that we have that squared away, implementing Team No Towel into your life is simple. In the shower, after scrubbing your scalp, using aromatherapy body wash, and double cleansing your face, turn off the water. Run your hands over your body to whisk away the excess water. Step out on your bath mat—yes, we all need bath mats—and do not dry off with a towel. This isn’t the most fun when it’s cold in the bathroom, but that moment is worth experiencing to have glowing skin. Grab a hydrating body oil and massage it in well, followed by body lotion to really seal in the moisture. This one-two punch is a dry-skin savior. Just to confirm that I’m not crazy with my no-towel theory, I spoke to True Botanicals founder and president Hillary Peterson. “Body oil is the absolute best moisturizer, and I love to apply it immediately after a shower because it absorbs quickly on wet skin,” she confirms. Taking this concept even further, Peterson also uses body oil in her bathwater, so it can fully soak into the skin. The same rules for your body apply to your face, although for different reasons. Towels get pretty dirty. Unless you’re changing them nearly every day, they can gather bacteria and fungus from the humid environment in your bathroom. Gently wiping your face with a towel once or twice a day could create blocked pores and acne. Not to mention how harsh rough towels can be on sensitive skin, making it feel dry, irritated, and flaky—yikes. If you subscribe to Team No Towel, you’ll find that the wetness on your face after washing is a gift you shouldn’t just wipe away! Try pressing your face with your hands to get a little water off, then let skin air-dry for a minute before applying toner on a soft cotton round or with your fingers. No interaction with a dirty or irritating towel required. And for the pièce de résistance in this anti-towel movement—no towels for hair, either. Hairstylist Nicole Perteet taught me to drop that towel wrap forever. You know those little loops on your towel? They can loop around individual hairs, twisting them and causing breakage. Instead, I use a long-sleeve T-shirt. Yep, a simple T-shirt, preferably made out of cotton. Although you might be wondering how a T-shirt could possibly beat a towel, I’d argue it works even better. Zero breakage, and the shirt wraps up even sturdier: Put your hair through the neckhole, then gently twist the body of the T-shirt up into a top bun and tuck the arms in. It will take a minute to find the right tucking method, but once you do, the shirt will hold better, absorb just as well, and be healthier for your overall hair quality. The only time I do use towels in the bathroom? To dry my hands. If you’re considering joining Team No Towel, these are a few products that will help. This body oil has a higher viscosity than most oils, thanks in part to the sunflower, hemp, and chia seed oil blend, as well as a boost of antioxidants and essential fatty acids, which makes it not only hydrating but healing. This lotion is somehow thick enough to deeply moisturize yet also absorbs quickly. It is perfect for applying on top of oil and contains some super-hydrating oils, like niacinamide for skin restoration, and a plethora of vitamins, antioxidants, and omegas. 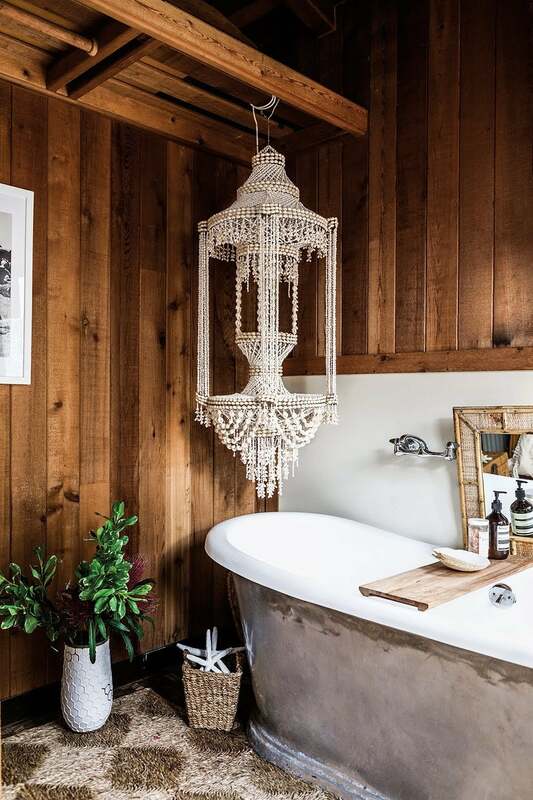 Hand towels are the only towels that should appear in a bathroom, so make sure they feel super-luxe. These Brooklinen towels aren’t terribly expensive, but they still maintain their plushness after countless washes. Feel free to test out plenty of tees to find your perfect match, but these are fairly inexpensive, dry quickly, and wrap hair up nicely.